Acccording to the Facebook page for the event Photos, Basketballs and Jerseys will be available for purchase on line and at the event. 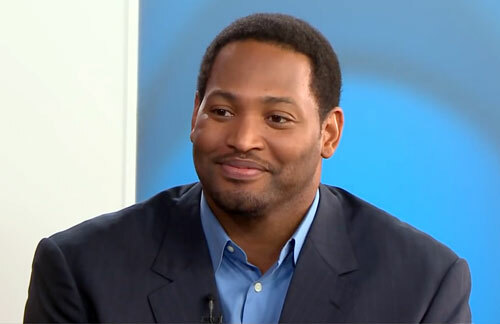 Robert Horry is a former basketball forward who played 16 seasons in the National Basketball Association (NBA). Robert Horry is a seven-time NBA champion, winning two championships with the Houston Rockets (1994 and 1995), three with the Los Angeles Lakers (2000, 2001 and 20012) and two with the San Antonio Spurs (2005 annd 2007). Horry holds the most NBA championships of any player who didn’t play on Boston Celtics in the 1960s and along with John Salley is one of only two players to have ever won NBA championships playing for three different teams. Horry is considered to be one of the greatest clutch performers in NBA history earning the nickname “Big Shot Rob”. Sports Speakers 360 is a booking agent for pro athletes. If you would like to book Robert Horry for a speaking engagement, appearance or endorsement, contact a Robert Horry booking agent for fees at 1.855.303.5450.